Venn beer and comedy on a Tuesday. 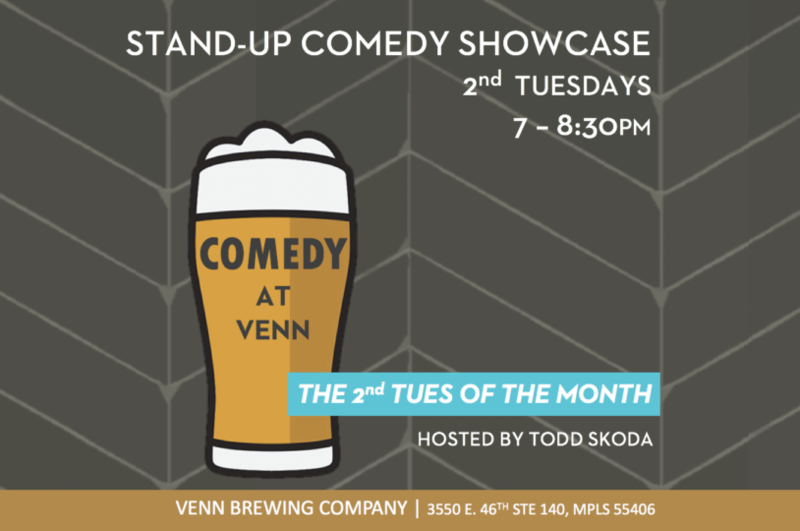 Be here for our next Stand-up Comedy Showcase at Venn! We’ll have the Taco Cat(!) food truck on site to fill your bellies with food too!